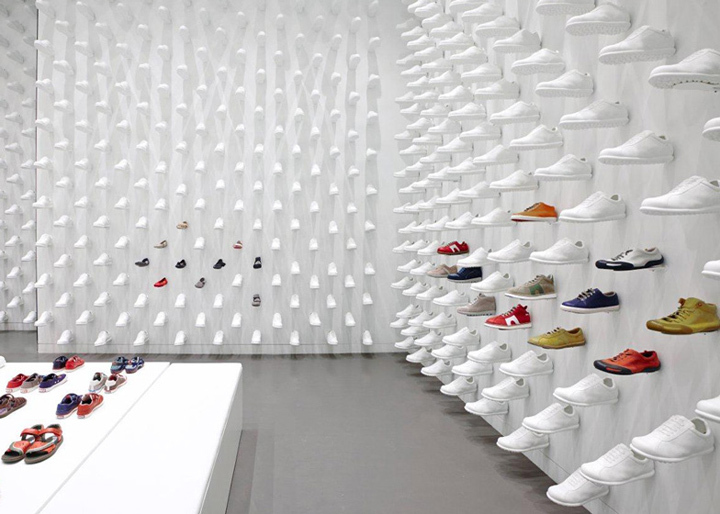 Over a thousand ghostly white shoes protrude from the walls of this New York store for shoe brand Camper, designed by Japanese studio Nendo. 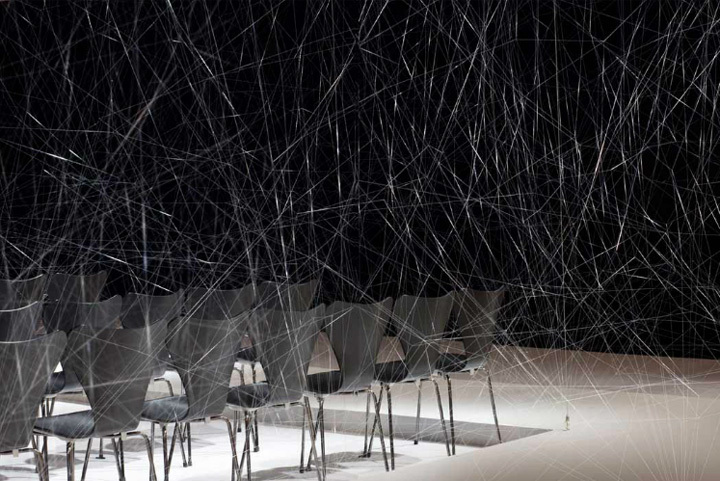 Nendo arranged the shoes in a regimented pattern across every wall, intended to look like they are “walking on air”. Each identical shoe is a replica of the Camper Pelota, the brand’s most iconic footwear collection, and is made from white resin. There are a handful of openings at the base of the walls for displaying the current collections, which can easily be spotted due to their stand-out colours. More shoes are displayed on white platforms in the centre of the store, while recessed openings house the brand’s sock and bag collections. 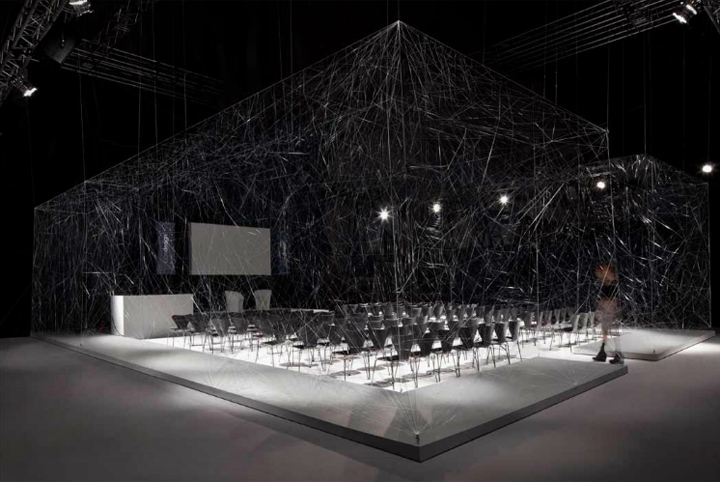 Commissioned for the 100% Design Show during the London Design Festival 2012, Paul Cocksedge’s ‘Auditorium’ moves away from conventional methods of creating a confined space: blocks, solid planes, edges. 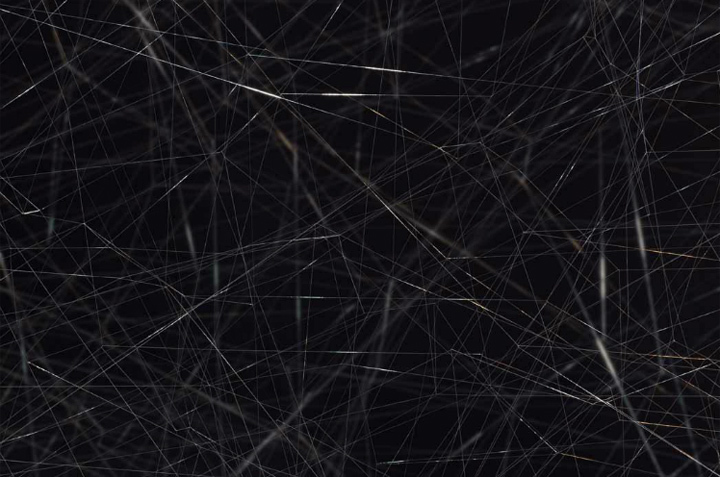 Instead, a virtually invisible material is brought on-site to be delicately woven by hand into a system as complex and transparent as a spider’s web. 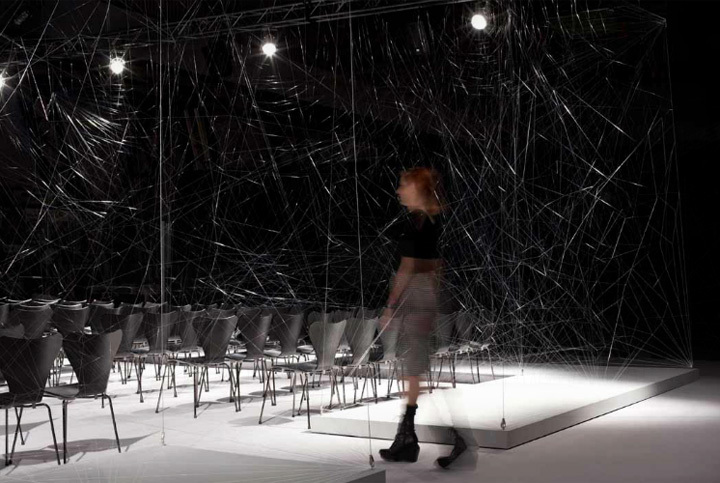 The process only ends when the space has been properly defined within what has now become a partition, but not a wall. 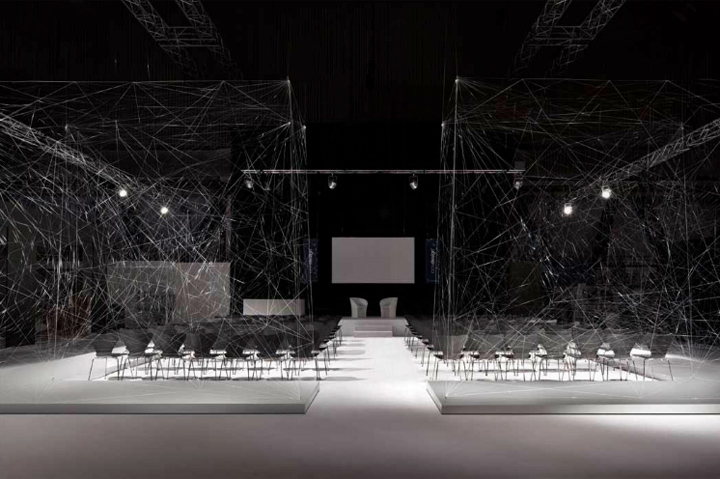 Open, but confined; translucent and yet solid, the ‘Auditorium’ network plays with our notions of exterior and interior space, where they begin and where they end. While coffee has increasingly become part of the hipster lifestyle just about anywhere on the planet, strangely the same can’t be said about tea. Perhaps too subtle in taste and less likely a beverage to roaringly kickstart an early morning with, this beverage deserves more credit and could do with a contemporary showcase that demonstrates its sophistication. 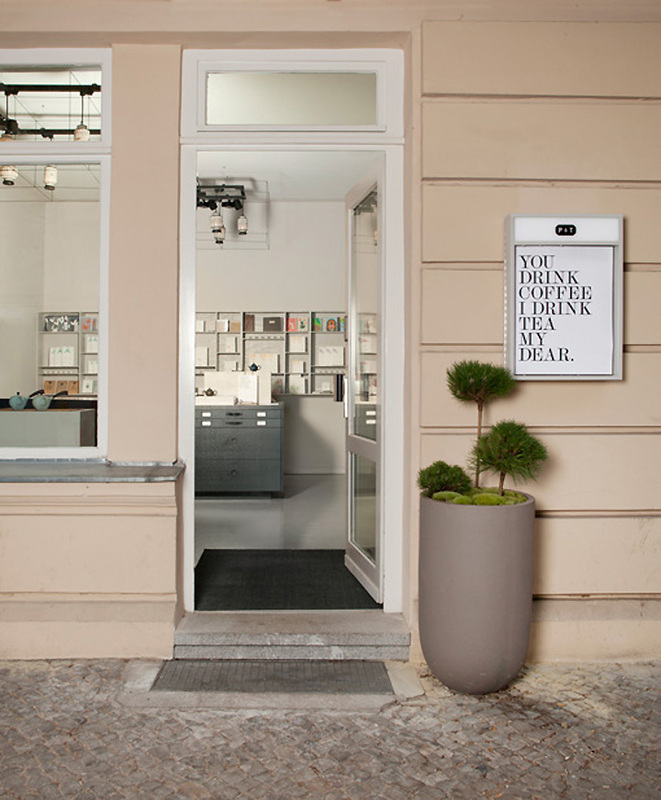 And that’s exactly the approach of P & T, a sleek new store in Berlin that not only stocks fine teas and a range of related products, but also evocatively throws specially selected gift cards, greeting cards, notebooks and wrapping paper into the equation, to create a broader – and dare we say poetic? – lifestyle experience. 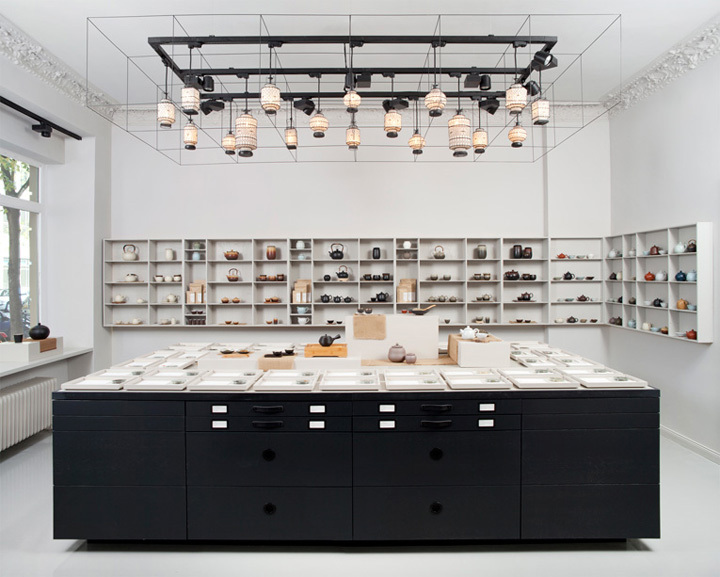 The store’s interior is a collab effort of owner Jens de Gruyter and product designer Fabian von Ferrari, and blends the aesthetics of a minimalist concept store with the atmosphere of a natural history museum. 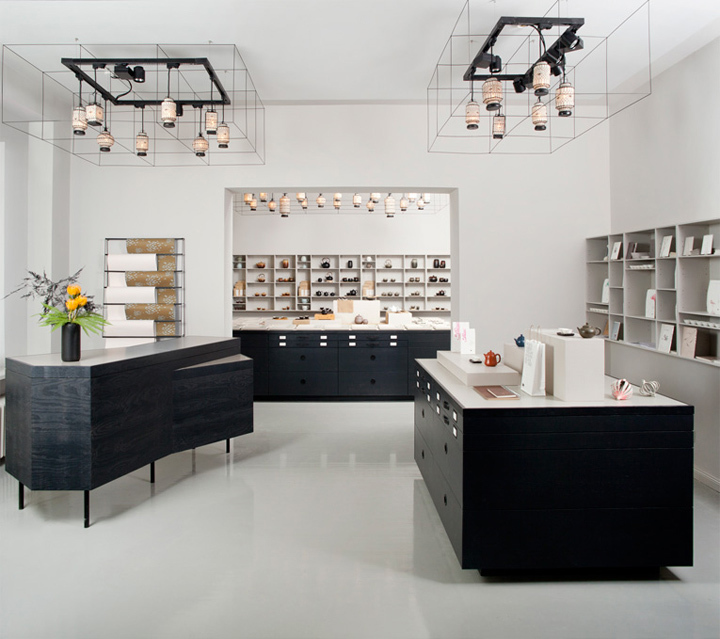 Highly accessible to shoppers, it’s a welcoming retail space that encourages to explore every nook and cranny, and smell and taste the goods. On free-standing presentation cubes outfitted with sliding drawers the individual teas are displayed in a practical fashion with accompagnying information, logically organized according to their degree of oxidation – from white to green, yellow, oolong, black and even pu’erh, a specialty of Chinese tea culture that remains virtually unknown to most foreigners. P & T has selected an elaborate range of teas and blended teas, imported from China, Japan, Korea, Taiwan, India, Nepal and Sri Lanka. All teas are available to buy in three different sizes of convenient resealable vacuum packs. 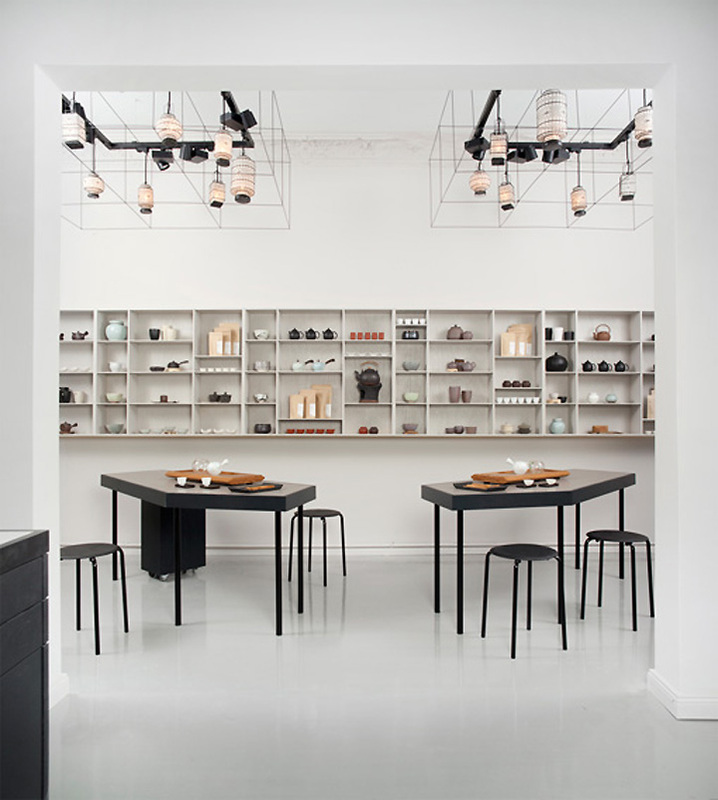 Not surprisingly, the teas are supplemented by a beautiful selection of tea pots, cups, utensils and trays. 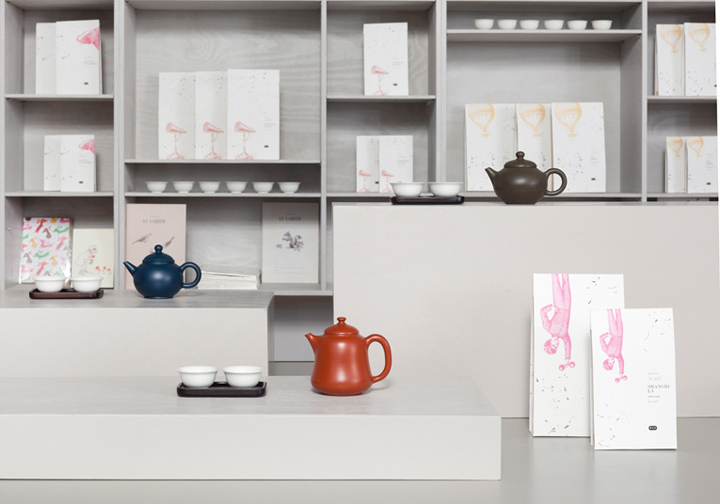 A true showcase of tea as a lifestyle, the P & T store also features a separate space where it regularly hosts tea seminars and specialized tea tastings. Zinensis is a UK based company providing 3D Renderings for all types of Architectural, Interior Design and Product Development projects. We create realistic visions of future-built environments using memorable 3D, motion graphics and photography to tell your story. If you would like to discuss a particular project, or would like more information regarding our services, or visualisation in general, please feel free to give us a call or email us. Registered in England & Wales. © 2019 Zinensis 3D Architectural Visualisation. All Rights Reserved.